Such developments are of course good news to those who practice minority traditions and aspire to military careers. Still, they seem also to provide a paradigm example of a kind of communal privatization: in opening up a space for the “free exercise”of minority traditions, they in fact delimit dissenting views and practices to privatized margins of public life, and thus reinforce a central tenet of contemporary American ideology, part of the “price of admission to the camp fire we call modernity,” as Russell T. McCutcheon aptly puts it (62). In thinking about the largely celebratory tone this article takes (save for noting that complaints of religious indoctrination continue to emerge from military personnel), I am left with the following query: Is there a way in which journalists might include reference to such larger conceptual contexts (i.e., the larger ideological work with which such developments would seem to be involved) without giving up journalism for scholarship? 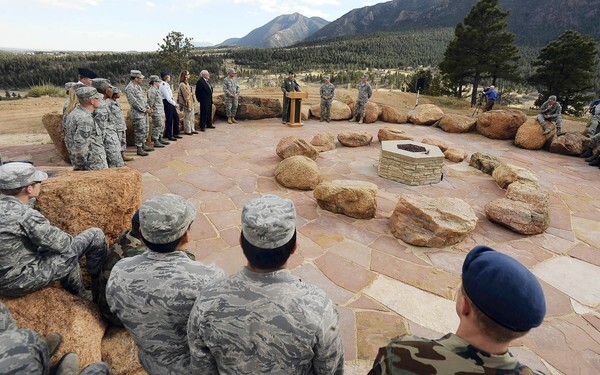 This entry was posted in Kenny Paul Smith, Religion in the News and tagged Air Force cadets, Anapolis, Buddhist, Christianity, Colorado Springs, Constitutional issue, Druids, freedom of religion, Hindu, Jenny Deem, Los Angeles Times, Muslim, Native Americans, Pagansim, West Point, Wicca. Bookmark the permalink. “in opening up a space for the “free exercise”of minority traditions, [the reported developments] in fact delimit dissenting views and practices to privatized margins of public life” It’s not apparent how this is so. Would you mind explaining? Thanks for your comment! I’m drawing upon Russell T. McCutcheon’s work, and so ultimately I suggest going back to the link in the article and reading the book cited there. Essentially, I’m suggesting that what seems like merely a “freeing” of a religious minority is instead, or perhaps also, a consignment of it to a carefully separated out space. I’m not convinced that there is a minority/majority rhetoric at play here, but rather a recognition (perhaps rhetorical construction?) of cultural diversity – both within the military structure and in society/societies in which such military structures function. One thing that did strike me, however, is the discursive shift from “pluralism” to “a 1st Amendment issue” by Maj. Duncan. This seems to me to move the discussion from one of “religion” (which does evoke minority/majority tolerance issues) to that of “civil rights” (thus evoking political equality). I’d love to hear more on this type of discursive shifting as a motif in American “civil religion” etc.